The World Health Day is a global health awareness day that is celebrated every year on 7 April, under the sponsorship of the World Health Organization (WHO). World Health Day targets all the health issues on global basis for which several programs are organized yearly by the WHO and other related health organizations to raise the common public awareness towards the health issues and concerns. A particular theme is chosen to mark the day and take care of the health for whole year. Global Polio Eradication was also one of the special themes of the year 1995 of world health day. 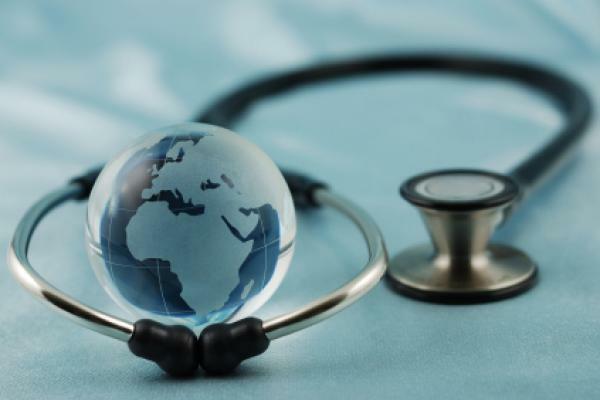 ♦ World Health Assembly was held first time in the year 1948 in Geneva by the WHO, since then the World Health Assembly decided to celebrate 7 April of each year with effect from 1950 as the World Health Day. The WHO organizes international, regional and local events on the Day related to a particular theme. ♦ It is one of eight official global public health campaigns marked by WHO, along with World Tuberculosis Day, World Immunization Week, World Malaria Day, World No Tobacco Day, World Blood Donor Day, World Hepatitis Day, and World AIDS Day. Theme for the year 2016 : “Beat Diabetes”. ⇒ The world has seen a nearly four-fold increase in diabetes cases over the last quarter-century, driven by excessive weight, obesity, aging and population growth. ⇒ In 2008, an estimated 347 million people in the world had diabetes and it was mainly prevalent in low- and middle-income countries. ⇒ In 2012, the disease was the direct cause of some 1.5 million deaths, with more than 80% of those occurring in low- and middle-income countries like China and India. The number of people with diabetes in India has risen from 11.9 million in 1980 to 64.5 million in 2014. ⇒ About 422 million people were affected in 2014, nearly 8.5% of the world population had diabetes two years ago, up from 4.7%, or 108 million, in 1980. It now affects nearly one in every eleven people around the world. ⇒ According to WHO Diabetes will be the world’s seventh largest killer by 2030 unless intense and focused efforts are made by governments, communities and individuals. Diabetes is a chronic disease that occurs either when the pancreas does not produce enough insulin or when the body cannot effectively use the insulin it produces. Insulin, a hormone that regulates blood sugar, gives us the energy that we need to live. If it cannot get into the cells to be burned as energy, sugar builds up to harmful levels in the blood. ⇒ Type 1: People with type 1 diabetes typically make none of their own insulin and therefore require insulin injections to survive. ⇒ Type 2 : People with type 2 diabetes, constitute around 90% of cases. The produce their own insulin, but not enough or they are unable to use it properly.People with type 2 diabetes are typically overweight and sedentary. How you can get tested ? ♦ Oral glucose tolerance test: This test is done after having 75gm of glucose in 200ml of water two hours after fasting. Results below 140 mg/dl are considered healthy, 140-199 mg/dl pre-diabetic and more than 200 mg/dl - diabetic. ♦ Glycerated haemoglobin test : It measures the patient’s average blood sugar over the past three months. 6-7% is categorised as healthy but for people over 65 years with complications such as heart disease, the reading should be 7.5%. ⇒ Get yourself enough sleep atleast six to seven hours of sleep daily. ⇒ Get blood sugar levels tested at the age of 30 if someone in your blood realtion have diabetes. Why you should fight with diabetes ? Uncontrolled blood sugar levels can cause eye damage, stroke, cerebral circulation damage, gum disease, heart, kidney disease, peripheral nerve damage, blood circulation problems in the legs, foot ulcers and amputations. The lower Gangetic plain is cahrac-terised by humid climate with high temperature throughout the year. Which one among the following pairs of crops is most suitable for this region ?